Offering you a complete choice of products which include flameproof temperature indicator. We are instrumental in manufacturing and importing an exclusive range of Flameproof Temperature Indicator. Well known for their striking features, these indicators are broadly demanded in chemical, food processing, petrochemical, and many more industries. 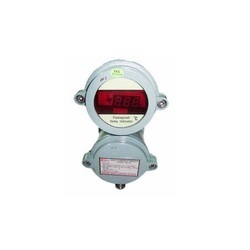 This family of flameproof instruments ranges from simple temperature indicators controllers to complex flameproof panels consisting of timers, ammeters, lamps and switches. Apart from this, we provide this well tested indicator to our clients within promised time frame at most genuine rates.